I had a cold brew from a coffeeshop recently. But if I’m entirely honest I ended up utterly disappointed and grumpy – pretty much the opposite of what I aim for when I’m drinking coffee. The first few sips were exactly what I wanted in my life, but shortly after life interrupted and I had to put it down and do something else. I returned about 10-15 minutes later when some of the ice had melted and I was left with a cup of once-brilliant coffee that had been diluted down to something along the lines of muddy water. Not ideal. There is a simple solution to this problem though, and that is when you make your cold brew coffee you also make cold brew ice cubes alongside it. It’s so simple I almost didn’t write this post, but having spoken to a few people, it turns out this – and I fully acknowledge it is up there with avocado slicing injuries on the ‘first world problems’ scale – is something we all need in our lives this summer. Cold brew coffee: a coffee that has never seen hot water in its life. It takes much longer to make and has a much deeper flavour (usually) than stuff that’s made in a hurry and is much less acidic. Iced coffee: this is your more regular coffee where the grounds are mixed in some way with hot water (americano/long black, etc. ), and then filled with ice to reduce the temperature to something that’s more refreshing. So to avoid disappointment in your life, I highly recommend that you make your own coldbrew ice cubes. 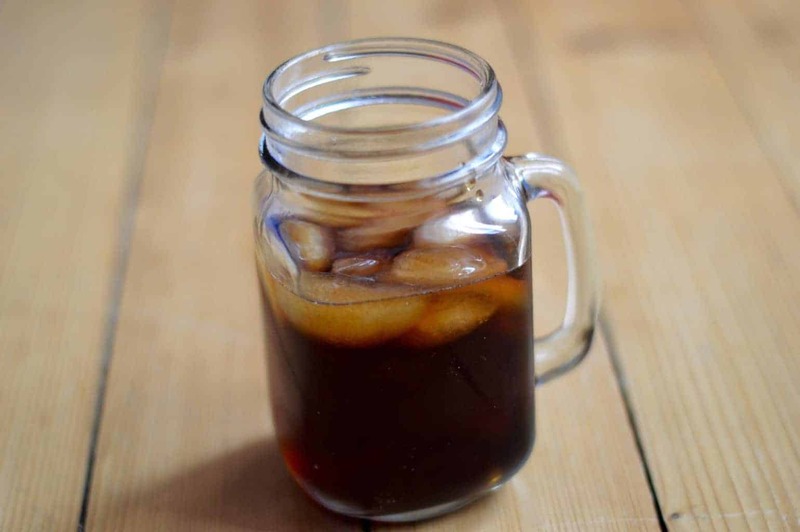 It’s not a quick fix and takes even longer than coldbrew coffee itself, but get some extra ice cube moulds and then make a whole stash that you can keep in your freezer for when you want cold brew goodness. It’s not a faff, it’s about being more organised in your life for a better result. 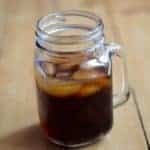 There is no hard and fast recipe when it comes to making cold brew coffee, but I tend to do mine overnight in the fridge and I speed up the filtering process by using my aeropress coffee maker (seriously, if you don’t own one, click on that link and buy one; it will change your coffee drinking hot or cold very much for the better). The ice I do in batches so that it’s ready when I need it. I tend to make this in ratios as I find it a bit easier, and it’s also much easier to scale. One filtered, you can keep it in the fridge for a couple of weeks, although if you’re anything like me I doubt it will last that long. Get a large, sealable container – I use a 1 litre mason jar – and put your coffee in it. Top up with the water, stir and seal. Give it a little shake for good measure. Put it in the fridge and leave it for about 12-18 hours, depending on how strong you like it (I often do mine for closer to 20 hours, if I can). Make the ice with your first batch of cold brew. Filter your coffee using a normal coffee filter, cafetiere or aeropress and put into ice cube moulds. Freeze. 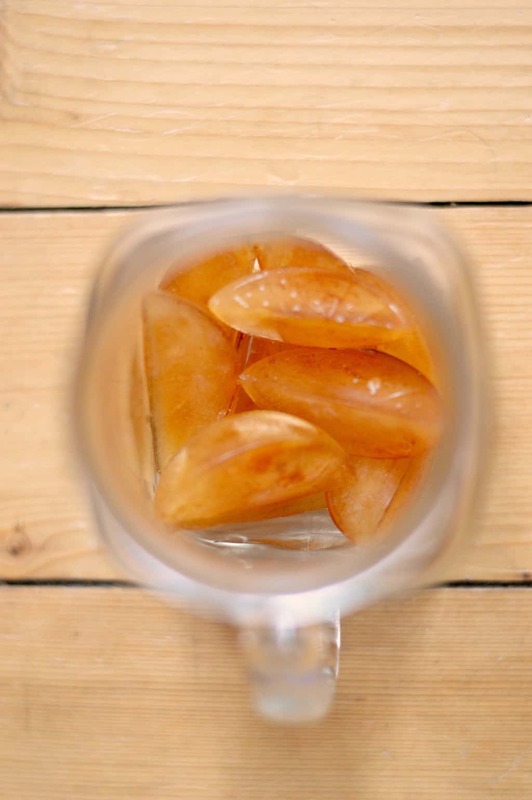 Make a second batch and pour into a glass full of your cold brew coffee ice cubes. You can dilute, add milk or sugar as you like it (although I would try it black the first time, as it will likely be different to how you take hot brew coffee, since the flavour profile will be different).